Welcome to the community Website of Hinton Waldrist in Oxfordshire! This site is maintained by residents of Hinton Waldrist for residents of Hinton Waldrist. It’s full of interesting information about the village, from ancient history to the latest goings-on. We’re very keen to hear your suggestions for making the site more interesting and relevant, so please do in get in touch with any of the team. See the Contacts page. You may be wondering about the design of the site, and particularly the coat of arms that features at the head of each page. 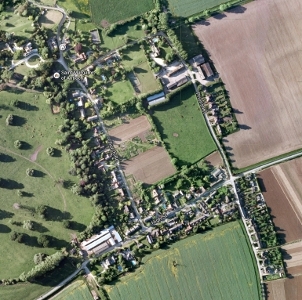 Hinton is an ancient village with a long and interesting history, and we wanted the site to reflect that. The coat of arms is that of the St Valery family, knights who came to England with William the Conqueror in 1066. Their loyalty was rewarded with the granting of land at Hinton, together with the castle that once stood in what is now the grounds of Hinton Manor. The village became known as Hinton St Valery, which over the years became corrupted to Hinton Waldrist.